A month and couple of days past since Amish Tripathi's much waited book Scion of Ikshvaku released.First in the Ram Chandra series special edition of the book with the author's signature was available for pre-booking on Amazon for before its initial release.To the end of Amish's much acclaimed Shiva trilogy it was assume that his next book would based on The Mahabharta.The announcement that his next was based on The Ramayana was enough to make some scratch their head and making them wonder whats new in The Ramayan while others were excited to read Amish's version of the Epic. Like most of the time I was waiting for my friend to buy the copy and would borrow from him and have a read but to my amaze I was able to get copy of the book for half of the price available on the web. The Book opens with Ravaan abducting Sita in his quadcopter type Pushpaka Vimana and then takes us back to the battle of karachapa between Dasraath and Ravaana which results in the defeat of the former.With Dasraath blaming Ram for the defeat in the hands of Ravaana,the prince of Ayodhya had a hard and painful childhood. From completing his education and training along with his 3 brothers under rishi Vahsistha to his very first encounter with the King of Lanka over his charge to take over Mithila and finally marrying princess Sita.With Ram following the laws and punishing himself with 14 years of banishment into the forest along with sita and lakshman. 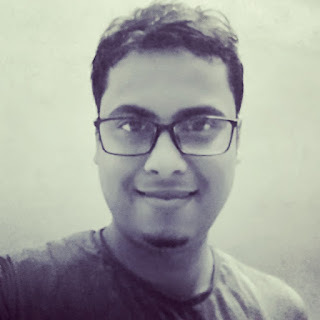 Amish's version of the epic can be easily related to his previous book with the Nagas,Vayputras making a return.The Book ends with the introduction of Hanuman as a Naga and and with the dying words of another naga Jatayu. 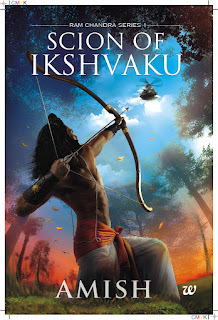 For most of us who have grown up watching Ramanand Sagar's Ramayana,Amish's Scion of Iskhvaku comes with something untold and presents the epic in a rejuvanated manner.Though first book in the series opened up with mix review there's no stopping of the book in terms of sales. With the book ending up in a high note after a big build up it will be exciting to see what the author comes up with next. For those who are yet to big it a read here's a link to download the book Scion of ikshvaku Download. Thank You and Happy Reading!! !